Set in an old stone building with a sunny rear beer garden, the Fork and Tap is a great choice for those seeking a traditional pub atmosphere. The pool table, foosball and play area means that the full spectrum of patrons right through from families to groups of young adults will find an appeal. The tap beers range from boutique international to locally brewed. Meals are reasonably priced and generously sized with traditional pub fare to nourish and satisfy. 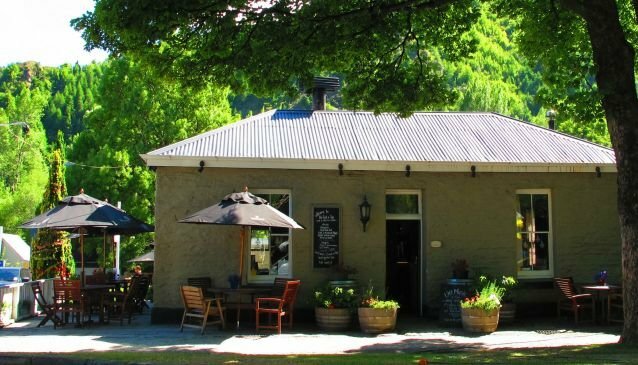 The open fire is a real treat in the winter, while the vibrant and fiery colours of Arrowtown's legendary autumn can be admired from the beer garden.